I have a lot to be grateful for this year, and one thing I'm very grateful for are my wonderful blog readers and visitors. 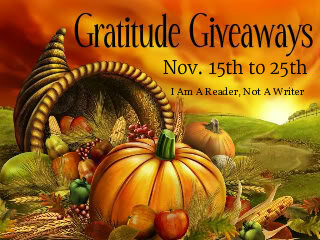 I'm also very grateful to Kathy at I Am a Reader, Not a Writer for once again organizing the Gratitude Giveaways Hop. To show my appreciation, The Book Diva's Reads is offering a reading journal and a $25 Amazon.com gift card. 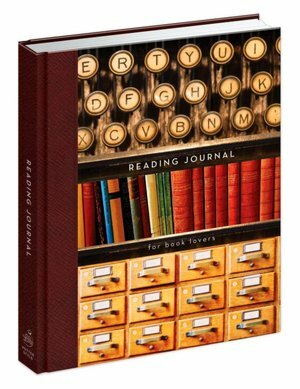 The reading journal features pages to record information on your favorite books, as well as lists of Pulitzer Prize Winners, Man Booker Prize Winners, National Book Award Winners, and a host of other prize lists (lists include space to note current and future winners). To enter, please visit my giveaway page and use the Rafflecopter form (comments do not count as an entry). Limit one entry per person/email address, GFC following is required. This giveaway is open internationally. This giveaway hop will run from 12:01 AM ET on Thursday, November 15, 2012 through 11:59 PM ET on Sunday, November 25, 2012. The winner will be announced on Monday, November 26, 2012.